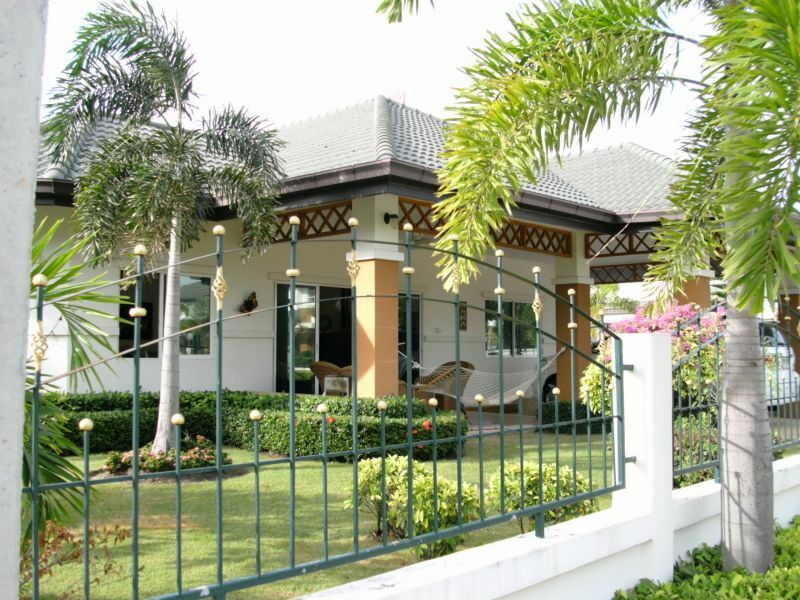 A detached single storey 3 bedroom 3 bathroom home with maids’ accommodation/ self contained unit situated off the Siam country Club Road on a quiet well maintained residential village occupying 400 sqm. The village has 24 hour security and has a swipe card entry and exit system. The village has a swimming pool with toilets and changing rooms, an air-conditioned gym, a bar/restaurant and a children’s play area. This property occupies a prime position opposite the village gardens and enjoys open views of the gardens. 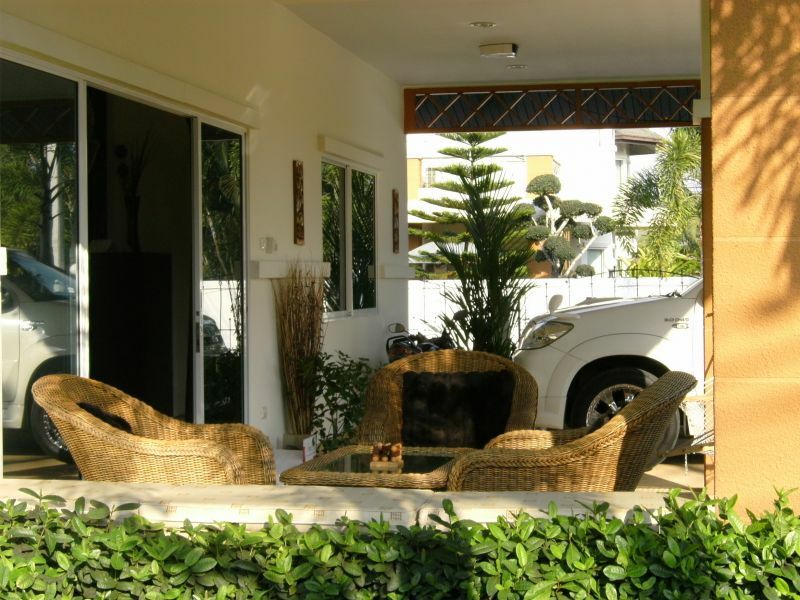 The property has a remote control electric gate and is secured by a full burglar alarm system. Mature gardens with two water points and an electric point. 2 patio areas, 1 with ceiling fan. 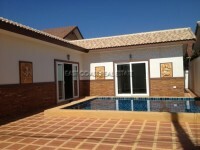 The property is well maintained throughout, with hot and cold water, direct phone and cable T.V. The kitchen has a range of wooden units with marble work tops. Plumbed for a washing machine. Fully tiled en-suite with bath and shower, extraction unit. 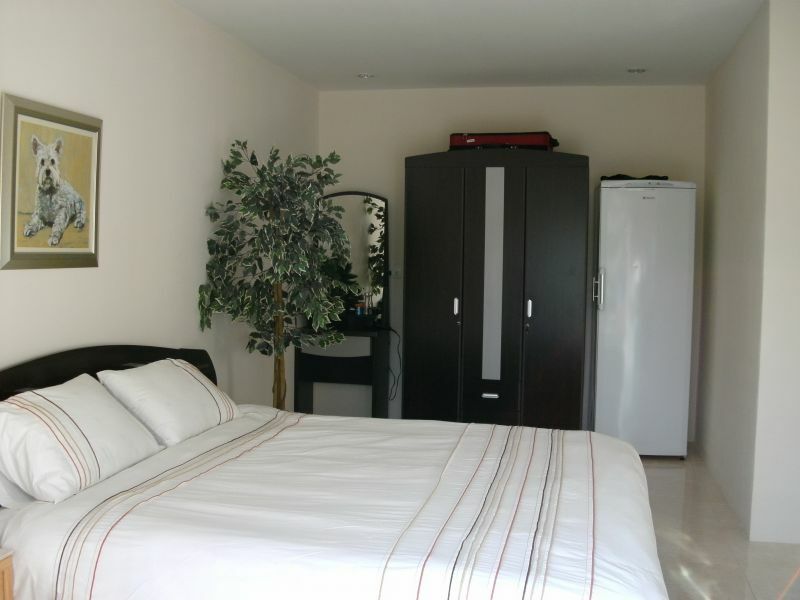 Dressing room with a range of fitted units, air-conditioned with remote controlled ceiling fan. T.V. ariel socket and telephone socket. 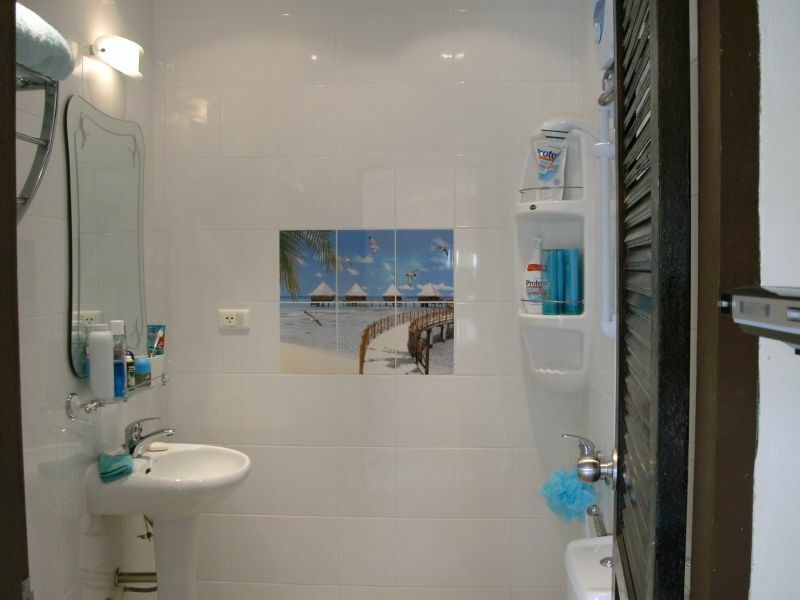 Fully tiled en-suite with shower. Air-conditioned. Currently being used as office/study, fully tiled en-suite with shower. Telephone socket and Internet. Air-conditioned. Large room with fully tiled en-suite. Marble breakfast bar. Air-conditioned with ceiling fan. Large attic/storage space. T.V. ariel socket. Patio doors with views of village gardens.